What can I grow from seed in my greenhouse to sell as container plants in the fall? I'm going to order more sunflowers and keep growing them as long as weather allows. I'm looking at ornamental kale, possibly ornamental grasses. I have a lot of big 9" mum pots left over. I used them for container gardens of greens in the early spring. I can do the same thing in the fall, but the weather is still too hot for lettuce in a pot. I've combined tall celosia and short zinnias to make a few combo planters that look nice, trying to build off the ideas in flower arranging, focal point, filler, and breaking the outline with something tall. I'm not sure what I would put in them as fall flowers. Right now I have a lot of fall color rudbeckia and some calendula coming up as sprouts. They might work in pots. I also ordered the orange ornamental pepper "hot pops" and have those sprouting right now, too, and I have a flat of another purple mini ornamental peppers, Chile Conga, as well. You sent me some ornamental peppers that you growing on your porch, a few years back. One was not very big, and had small black peppers. maybe center one of those in a pot with little marigolds for fall/ Halloween colors? 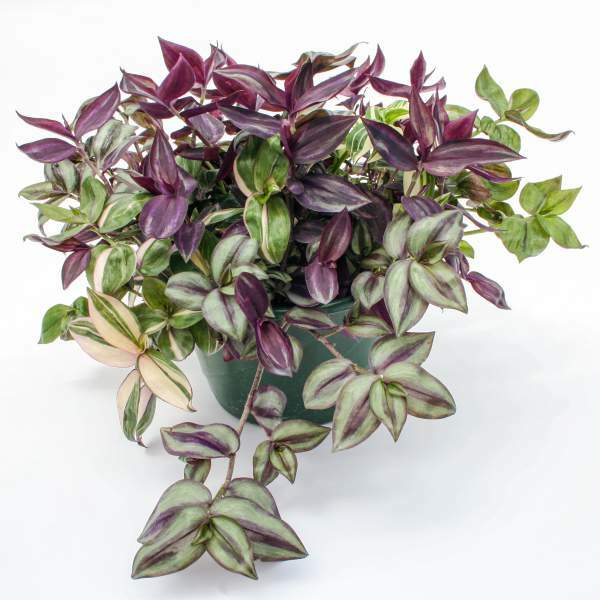 And it's a house plant in my climate, not a fall decoration, but I am also consider ordering an assortment of wandering jew cuttings and making combo planters that I could overwinter or sell at my winter market. Yeah, that's Chile Conga. I like that variety. That's a good idea to combine it with marigolds. I didn't think of that. Thanks, Imp. You're welcome. You were kind enough to share seed, hopefully sharing an idea will help you a bit. I'm thinking of the potted plants my supermarket sold in the winter and early spring. Cinerarias and obconica primulas. The primulas surprised me - they aren't normally sold because some people get a rash from touching them. Cinerarias come in lots of colours, but I prefer the bright blue ones. Sow in June to flower in January, mid-July for February, September 1 for March, October 1 for April. Tropicals sell well in the fall when people are starting to go inside as the weather cools. I did end up getting pot mums, as I posted in the other thread. For my alternative fall flowers, rudbeckia seems to have done the best. Calendula did not want to grow for me, nor did the hot pops ornamental peppers I tried. The plastic containers get very hot in the sun, which was probably the issue. gaillardia. Both are nice to buy as they are perennials. Good to have something to choose from besides mums. Rudbeckias are the carefree fall flowers!! My mom has had plain yellow ones forever, and just this year she bought one that turned out to be a stunning dark red color. Those are a nice color you have, too. Cole, don't forget to plant yourself a patch.. next year you just have to divide them and not bother with growing from seed. Perennials rock... so easy. Those are beautiful CR. My black eyed susan plant is the plain yellow type without the pretty dark throat, and they are long finished blooming anyway. I haven't found a pretty cultivar that is perennial here. I agree it is very trendy this year in fall planters. Some of those Rudbeckias are annuals. Several times, I have bought the gorgeous ones with mahogany centers, and wondered why they never returned in spring . My old faithful variety is Rudbeckia Fulgida which absolutely thrives, and increases with abandon . Last edited by Labradors2; September 23, 2018 at 02:28 PM.